‘Oldest’ Hominid Footprints Show No Evolution! Originally published in Creation 15, no 4 (September 1993): 32. The Laetoli footprints tell us that man was walking around as he does today when he first appeared in the fossil record. There is no sign of evolution here! In 1974, famous fossil hunter Dr Mary Leakey and her team were reported to have uncovered the oldest set of manlike (hominid) footprints ever found, supposedly 3.5 million years old, at Laetoli in East Africa. Most experts agree that these fossils are among the oldest evidence (on their own time-scale) that we have of man and his immediate ancestors. The majority of man-like fossils are all regarded as being younger than these. ‘Strictly on the basis of the morphology of the G prints [prints found at a site labelled ‘G’], their makers could be classified as Homo sp. because they are so similar to those of Homo sapiens, but their early date would probably deter many paleoanthropologists from accepting this assignment. I suspect that if the prints were undated, or if they had been given younger dates, most experts would probably accept them as having been made by Homo … . 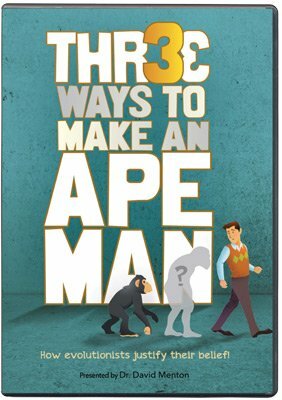 Tuttle then goes on to speculate about when man's ape-like ancestors began to walk upright. We could not wish for clearer evidence from an evolutionist that it is only his (and his colleagues’) evolutionary assumptions that force him to reach evolutionary conclusions. There are many similarities between apes and man, but one of the most distinctive differences is the feet. Ape feet are like our hands, with an opposable big toe (like our thumb). Human feet are different from any in the animal world—no other has feet like ours. So the Laetoli footprints are clearly telling us that man was walking around as he does today when he first appeared in the fossil record. There is no sign of evolution here! M.D. Leakey and J.M. Harris, eds., LAETOLI—A Pliocene site in Northern Tanzania, Clarendon Press, London, 1987. R. H. Tuttle, ‘Kinesiological inferences and evolutionary implications from Laetoli bipedal trails G-1, G-2/3 and A’, Leakey and Harris, Ref. 1, Chapter 13.3, pp. 503—523.